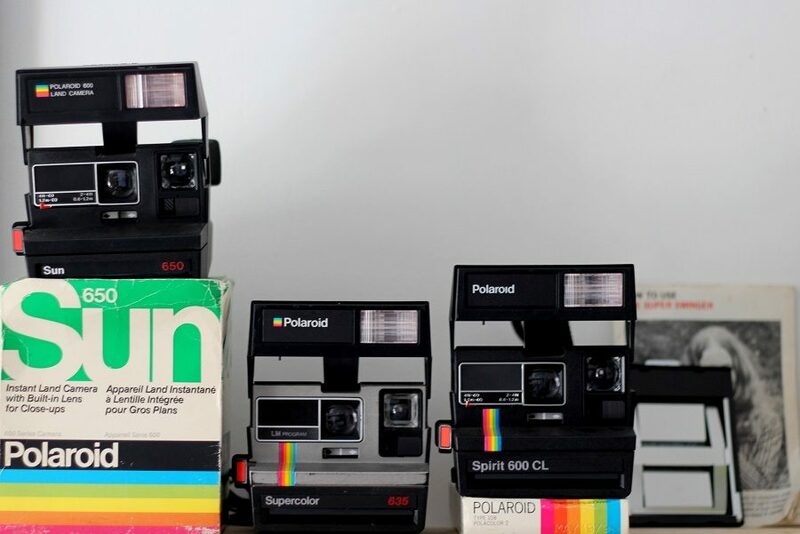 This is a glimpse of my vintage Polaroid Camera collection. I collect vintage things, especially items that recorded our everyday lives before digital, before the internet. As a collector I have rules, I am not a hoarder, hoarders run out of room to store their stuff, their habit of not letting anything go can often make them unhappy and can impede upon their ability to lead a normal life. I am a proud vintage collector … would you like to see ? Be specific, narrow it down to a year/model or a colour. Be specific, narrow it down to a year/model or a colour. This keeps your collectibles more stream line. Hence I love all old cameras but have narrowed this collection down to vintage Polaroid models only. No doubles, keep the best specimens only (unless an item is very rare) In this way you will be continually upgrading your collection. Before you buy, know where you are going to display your treasure. After-all what is the point of having a collection if you are going to hide it away in storage? Designate a shelf, an area, a cupboard where you can display your collection all together. This way everyone can appreciate it and a strong sense of the era and the style will shine through. I have many from the 60’s to the 80’s. 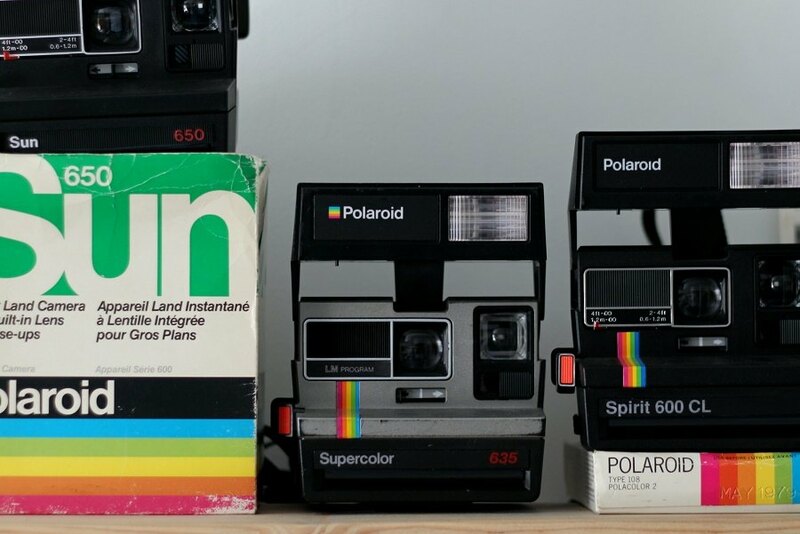 My teenage boy also enjoys collecting these vintage Polaroid cameras and has a superb eye for a bargain! At the last count we had 9! They live in my office on a shelf that runs around half the walls. 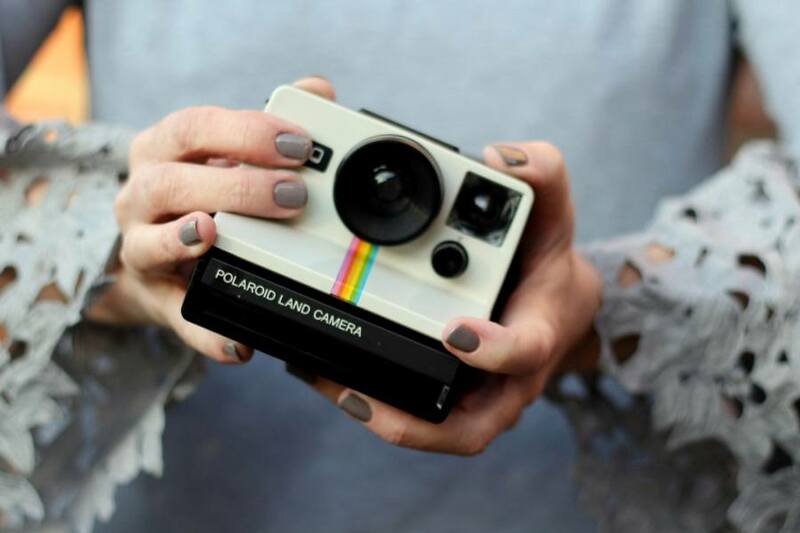 Edward land first conceived the idea of an instant camera in 1943. He was on holiday taking pictures of his young daughter and she asked him why she could not see the images immediately! So it was that on November 26, 1948, the first Land camera was sold for $89.95 at Jordan Marsh department store in Boston, Massachusetts. 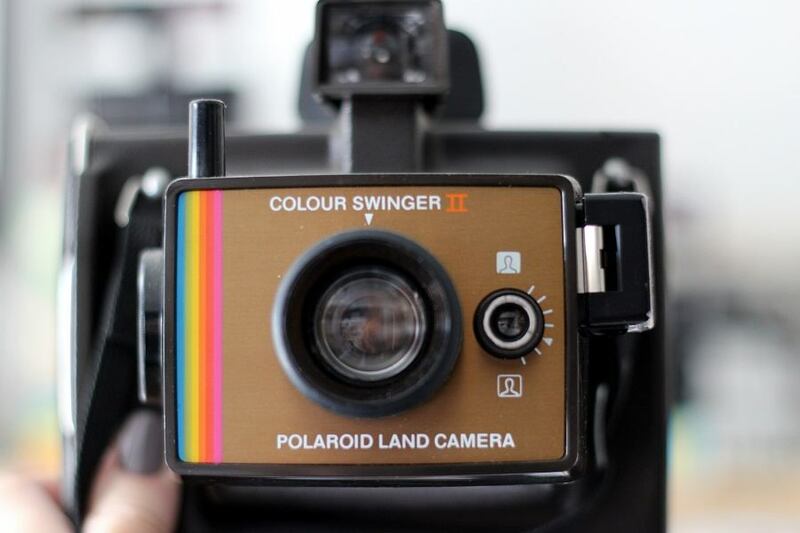 The Model 95 Land camera becomes the prototype for all Polaroid Land cameras produced during the next 15 years. He was on holiday taking pictures of his young daughter and she asked him why she could not see the images immediately! 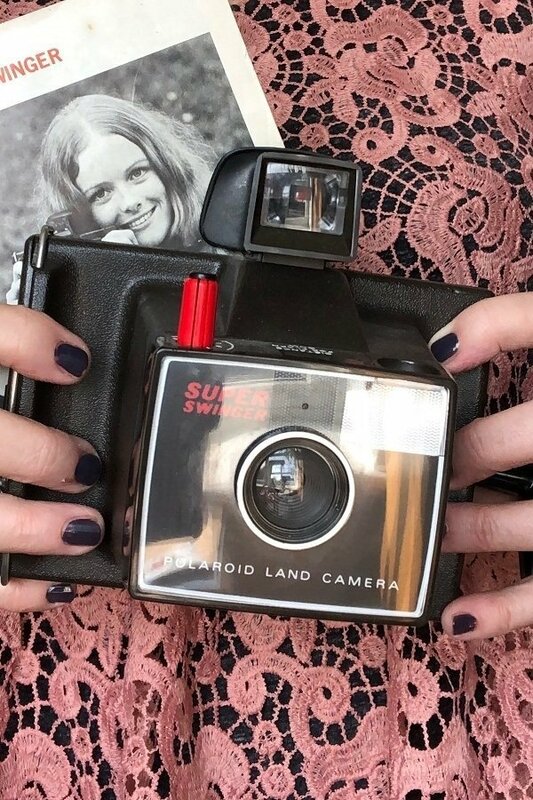 As a creative child with a fertile imagination, I first experienced the wonder of the Polaroid camera in approximately 1968. I was about 5 and my Mum still has those photos tucked away in her jewellry box! The Polaroid camera of today is a very different one than the one of my childhood, but I still love it! 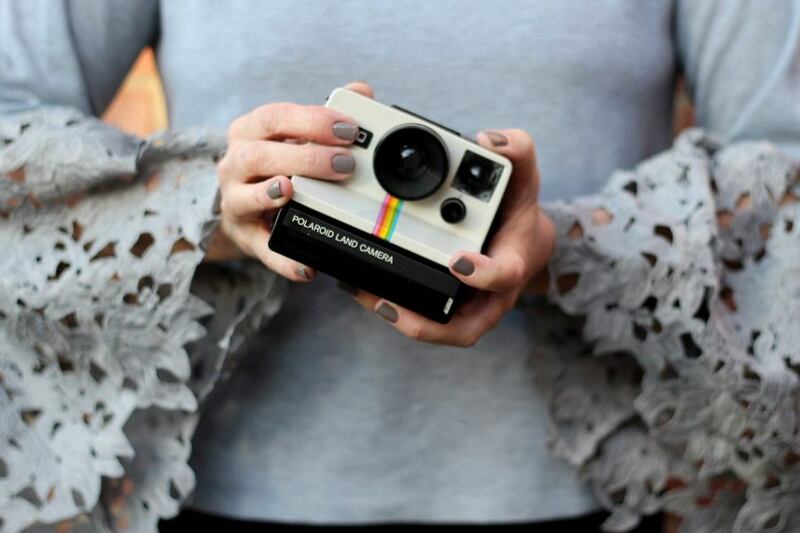 Post about wearing vintage you may enjoy reading! What a wonderful collection, Ashley! I love your tips too. Hi Natasha and thank you, remember when you used to collect all the vintage? You too, have a super weekend! Sarah I remember those days too! does that mean we are old? So so envious of your collection. They are the magic of photos in my opinion. I love them and they make my heart happy. Kara hellooooo…I love them too, always hard to produce a decent shot, but the instant viewing was the magic.